Leafless Ballart ( Exocarpos aphyllus, SANTALACEAE ). 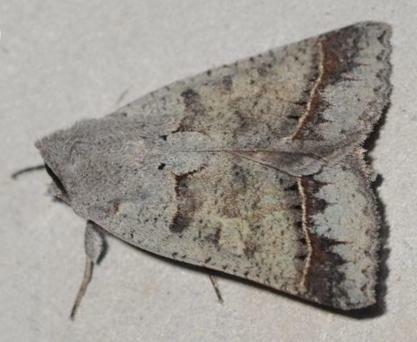 The adult moth has fawn forewings, each with variable dark markings: including a dark-edged pale submarginal line, and sometimes a black mark near the base. 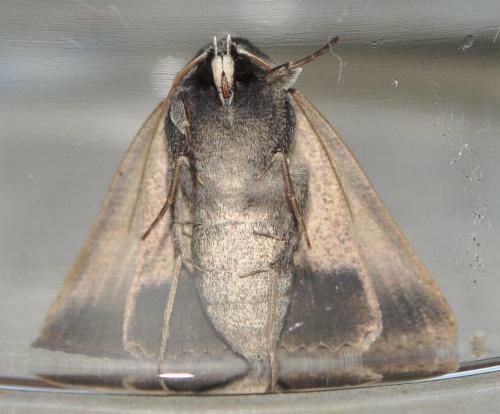 The hindwings are fawn shading to a dark margin, with a vague submarginal band. The head appears to have a black collar. The males have a bunch of pale eversible hairs on the tip of the abdomen. 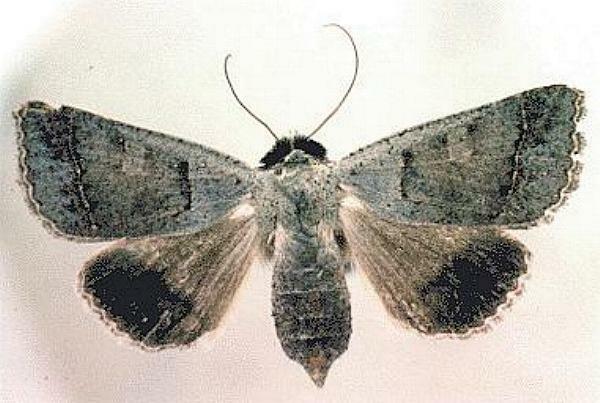 The moth has a wing span of about 4 cms. Moths of Australia, Melbourne University Press, 1990, fig. 44.19, p. 450. Volume 9, Part 6, Tome 2 (1852), p. 437, No. 1308. Entomological Society of Victoria, 2017, pp. 10-11, 22-23.